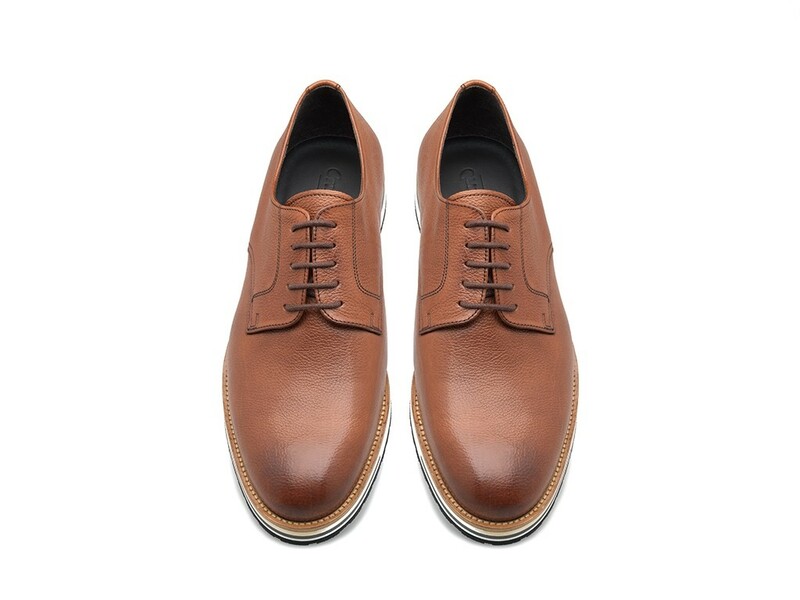 A classic yet up-tempo vibe for this Oxford shoe crafted from smooth leather in a brown palette. The plain upper endows it with a classy refined vibe. 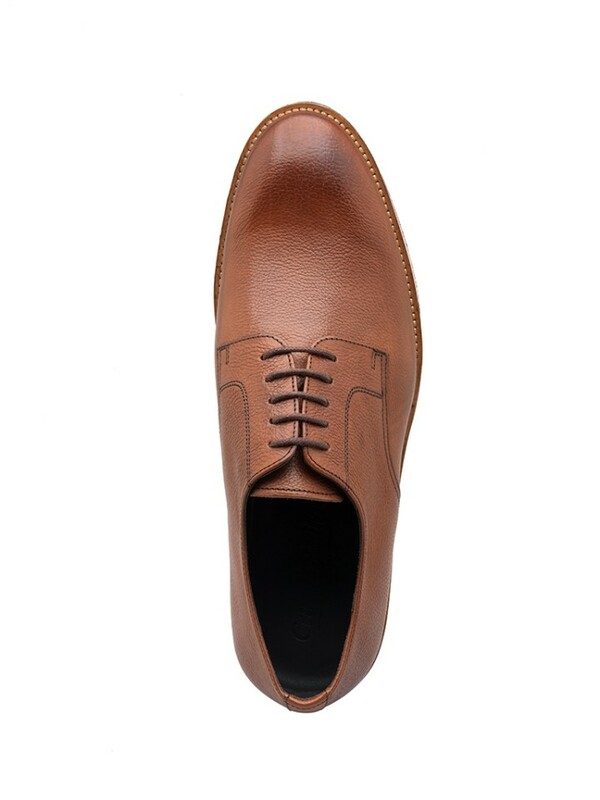 Its silhouette gains in youthful freshness with the rubber sole featuring a contrasting natural light tan welt, creating an interplay of different shades and styles.This fine tan leather Derby features stitched paneling and five eyelet lacing. Sitting on a sneaker inspired rubber sole, this design perfectly fuses traditional styling with a modern twist.